For years, I have driven past this old time country grocery store. There are not too many of these around these days. Everyone wants to go to the larger chain grocery stores. This little building is packed to the rafters with stuff. They also serve one hell of a lunch! 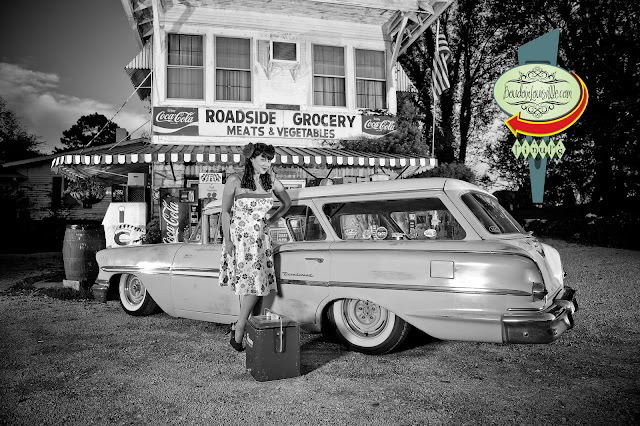 I knew I wanted to shoot some sort of vintage pinup girl session here, just needed to put together the pieces. Lucky for me, I have some great friends that hook me up with awesome cars for my shoots. 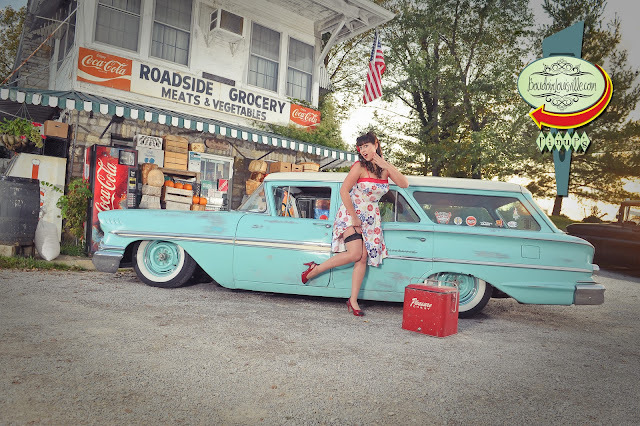 The main car in this shoot is a 1958 Brookwood Station Wagon. There is also a Chevy C10 in the background as well. As we were shooting, a totally restored Thunderbird convertible pulled up. What the hell, I told him were to park and fired a few shots off. By the time he arrived, the sun was way past its prime. 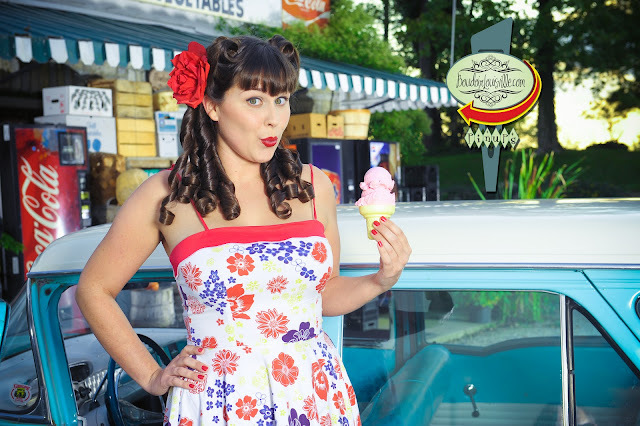 Libby was our pinup girl. She is a true Bombshell! This is our third time shooting Libby, and definitely not our last! Look for a behind the scenes video to come soon. Also grab the next issue of Retro Lovely Magazine, these will be in issue #8. FYI, the first pic, other than my logo, is 100% unedited. Straight out of the camera!